We are a leading Manufacturer of light waterproof aluminium oxide abrasive paper, waterproof and stable silicon carbide abrasive paper, light aluminum oxide abrasive paper, stable aluminum oxide abrasive paper, aluminum oxide abrasive paper and stable and flexible abrasive paper from Roorkee, India. In line with clients' variegated requirements, we bring forth a distinguished collection of Light Waterproof Aluminium Oxide Abrasive Paper. This paper is designed at our ultra-modern manufacturing unit using the superb quality raw-material and progressive technology in conformance with defined quality standards. Being a quality-oriented organization, we assure our clients that this paper is excellent on counts of durability and quality. With the desire to cement our reputation in the market, we are engaged in offering an excellent range of Waterproof And Stable Silicon Carbide Abrasive Paper. It can be used for sanding of lacquer and filler as well as repair sanding of top layers. Keeping in mind current market development, this paper is manufactured by our qualified professionals employing premium quality raw material and modernize tools. Apart from this, our quality experts perform a series of test on the entire range ensuring its flawlessness. We are recognized as one of the prominent organizations of a wide gamut of Light Aluminum Oxide Abrasive Paper that is used for sanding of primer and filler. This paper is manufactured with the help of fine grade raw material and progressive technology in adherence with set industry norms. Moreover, the paper offered by us can also be availed in various sizes and shapes as per different requirements of our precious clients. Owing to our proficiency in this domain, we are engaged in offering our clients with a wide gamut of Stable Aluminum Oxide Abrasive Paper. It is used for manual and mechanical sanding on metal, wood, lacquer, paint, primer, filler, plastic and aluminum. Considering variegated demands of our respected clients, we offer this paper in various sizes and other related specifications. Our offered paper is designed by our experts using the high-grade raw material, keeping in mind prevailing guidelines of industry norms. 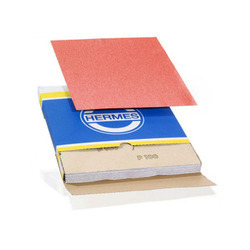 Owing to our experience and knowledge in this domain, we are engaged in offering a supreme quality of Aluminum Oxide Abrasive Paper. It is used grinding off layers of old paint. 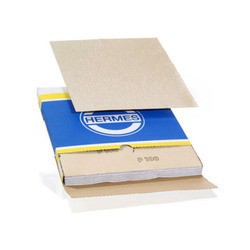 This paper is manufactured using high-grade raw material and progressive technology in compliance with the set industry standards. Offered paper is highly acclaimed among clients for its fine finish, optimum quality and durability. The offered paper is checked by our experts against quality experts on various parameters. 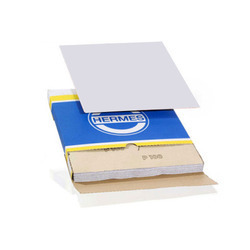 Our firm specializes in offering an excellent collection of Stable And Flexible Abrasive Paper. It is Ideal for sanding different materials without changing the abrasive belt. This paper is manufactured using topmost grade raw material and sophisticated technology in conformity with the certified industry norms. In order to deliver the defect free range at clients' end, this paper is checked against the various parameters of quality before supply set by the industry. 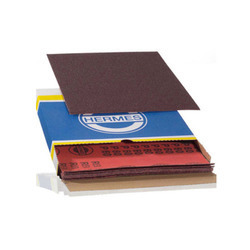 We are offering Highly Flexible Aluminum Oxide Abrasive Cloth. Suitable for intricate profiles and small radii. With desire to cement our reputation in the market, we are engaged in offering an excellent range of Waterproof And Stable Silicon Carbide Abrasive Paper. It can be used for sanding of lacquer and filler as well as repair sanding of top layers. Keeping in mind current market development, this paper is manufactured by our qualified professionals employing premium quality raw material and modernize tools. Apart from this, our quality experts perform a series of test on the entire range ensuring its flawlessness. With our vast experience in this domain, we have enabled us to serve our clients with a broad array of Highly Flexible Silicon Carbide Abrasive Paper. It is universally applicable for coarse, intermediate and fine sanding of wooden components and painted surfaces. This paper is precisely manufactured using topmost grade raw material and the latest technology in tandem with set industry norms. According to the specific clients' requirements, this paper is made available in various specifications. Clients can avail the entire range from us at an affordable price.